Rev. 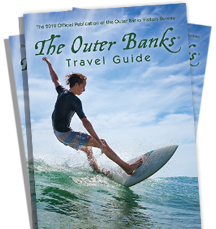 Rande Banks is a native of Currituck and the Outer Banks with over 30 years experience in welcoming our visitors and ensuring their memories of the Outer Banks are forever special. We will help you choose the vows that most reflect your love and commitment to one another, be it traditional, casual or contemporary. Check our web site for information on elopement specials!